It’s November, which means #Phonepacolypse is officially over. What better way to round out the month than with the introduction to one of the most anticipated phones in the industry, the OnePlus 6T. OnePlus’ refresh of the OnePlus 6 loses the headphone jack and adds an in-screen fingerprint sensor. Plus it has a great camera night mode, and is launching on a U.S. carrier for the first time. 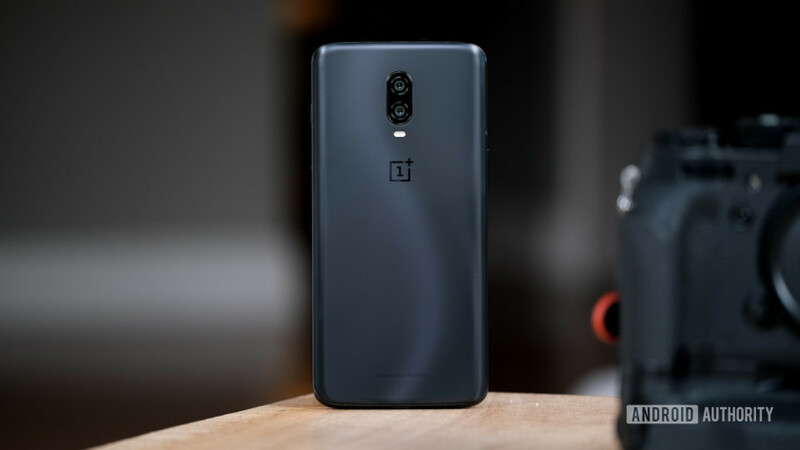 All that makes the OnePlus 6T a threat to flagships everywhere. Speaking of flagships, our review of the Huawei Mate 20 Pro has dropped and boy is this a specced out monster. Triple cameras, a 40 megapixel sensor, and all the trimmings. It definitely won’t be coming to a U.S. carrier any time soon, but that’s ok — this phone has a lot going for it already. Also, our Google Home Hub review is in — security leaks and all — Spotify is giving away Google Home Minis and Honor has a phone and a gaggle of devices for you as well. We have a folding phone triple threat launching between now and CES, and we’re going to learn a lot about these folding screens in the next few months. So keep on scrolling down — there’s a lot to see this week. The OnePlus 6T is official, and this is our hands-on. What do you get in OnePlus’ latest flagship? Spotify and Google are working together to bring you music on demand with the power of your voice. Act now to take advantage! Our official Huawei Mate 20 Pro review is live. Is this the best phone money can buy now? The Google Home Hub is your familiar Google Home but with a screen. Security vulnerabilities found in the Google Home Hub are nothing to worry about, says the creator. The Honor Magic 2 is Honor’s latest offering with a screen-to-body ratio of almost 100% and six cameras on board. Along with the smartphone, Honor brought a smartwatch, tablet, and true wireless earbuds to the party. We all wanted a flexible tablet that turns into a phone. Now the question is, will we want what we got? Not to be left out, Samsung will confirm for us how its folding interface will work at its developer’s conference next week. Me too! Me too! LG looks to release its own folder at CES this coming January. Our editor spent time at the OnePlus 6T popup store in Times Square and met a pack of OnePlus fans. Project Fi might just be graduating to Google Fi, making it Google’s official MVNO. Who wants to win a Phone?